In this tutorial, we will show you how to install an SSL certificate on Webmin. If you’ve already generated a CSR code for your certificate, skip the first section and continue with the SSL installation steps. Part three of the tutorial brings you interesting facts about the Webmin history, while in part four includes useful tips on where to buy the best SSL Certificate for Webmin. 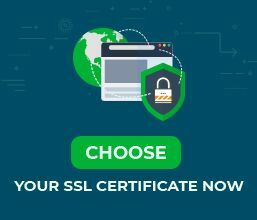 Where to buy the best SSL Certificate for Webmin? 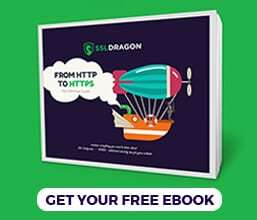 When applying for an SSL Certificate, one of your first steps is to generate a Certificate Signing Request (CSR) and send it to the Certificate Authority. The CSR is a small text file with necessary details about your domain and company. Now, you can use the CSR code during the SSL application. If something is wrong with your CSR, you can use our decoder tool to find the error. To rectify it, you’ll need to regenerate your CSR code. After you’ve successfully applied for your SSL Certificate, and received all the necessary certificate files from the CA, it’s time to install them on your Webmin server. Note: yourwebsite_com is your domain name here. To complete the SSL installation, you need to restart Apache. In the left pane, go to System>Boot and Shutdown and tick the Apache checkbox. Next, scroll down the very bottom of the page and click Restart. That’s it! You’ve successfully added an SSL Certificate to your Webmin server. After you install an SSL Certificate on Webmin, it’s highly recommended to test your SSL installation for potential vulnerabilities. Use one of these advanced SSL tools to scan your website and get instant SSL reports. Click here to access the entire changelog. Enjoy the lowest prices on the market, and dedicated customer support for any certificate you choose. And, if your struggling to find the perfect cert for your website, use our SSL Wizard and Advanced Certificate Filter tools to get a helping hand. If you find any inaccuracies, or you have details to add to these SSL installation instructions, please feel free to send us your feedback at [email protected]com. Your input would be greatly appreciated! Thank you.